So you’re eligible for FEGLI, and your life insurance coverage will continue when you are an annuitant after federal separation or at retirement. But there’s a twilight zone in between the two when your retirement claim is pending. What happens to your coverage if you die in this twilight zone or if your insurance gets terminated? If you die while your retirement claim is pending, you will, ironically enough, be considered eligible to have been covered for life insurance at the time of your death – assuming, of course, that a determination is made after your death that you were entitled to an immediate annuity. There is an exception to this rule, which applies only if your insurance got terminated because of a nonpay status of 12 months. In this case, approval of your annuity application doesn’t automatically restore your insurance coverage. 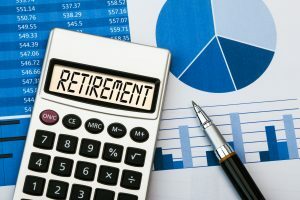 That happens if your newly approved annuity is effective not more than a month after the coverage termination that took place after 12 months of nonpay status. Simply put, if you died after your FEGLI got terminated because of nonpay status but before your pending retirement claim was approved, then your coverage will be considered active at the time of your death only if your annuity effective start date is no more than a month after the termination. If your coverage gets terminated while your retirement claim is pending, you can contact FEGLI to convert it. Once your retirement application is approved, and assuming you meet the eligibility requirements for continuing FEGLI at retirement as an annuitant, your life insurance gets automatically reinstated. Making use of the conversion feature ensures that you are not left without coverage if it gets terminated while your retirement claim is pending.